I find it really invigorating when new small presses are emerging on the market, as much as they put new measures of pressure on my overgrown reading list it is nothing but wonderful to see bold new venues for all the talented writers out there. My enthusiasm reached new heights when The Book Smugglers entered on the list of new publishers, part due to my joy of seeing such initiatives and part because of my familiarity with The Book Smugglers’ blogging work. I follow the excellent work put together by Ana Grilo and Thea James on this website for a handful of years now and I always enjoyed their reviews and articles. So, I was equally curious and elated to see The Book Smugglers taking a step into publishing on the fall on 2014. And although I still need to catch up with a couple of the stories released by Book Smugglers Publishing so far my expectations were fully met and surpassed. Not only by the short stories published, but also by the tremendous work put on the cover artwork, in the vein of the top notch art accompanying the fiction published on Tor.com. 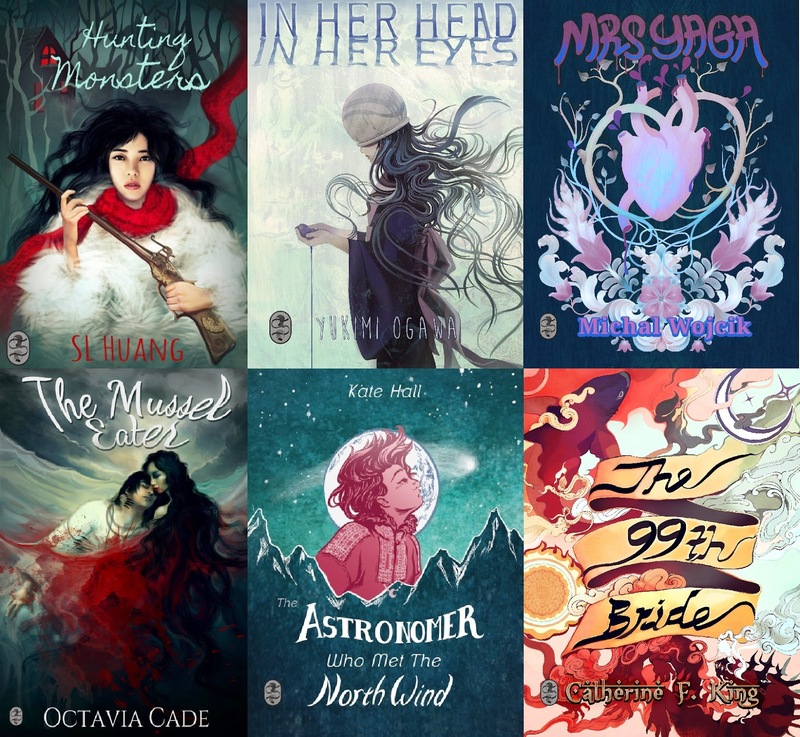 I even have difficulties in picking a favorite out of the six covers of Book Smugglers Publishing, the art of Kristina Tsenova (“Hunting Monsters” & “The Mussel Eater”), Jacqueline Pytyck (“In Her Head, In Her Eyes”, “Mrs. Yaga” & “The Ninety-Ninth Bride”) and Sally Jane Thompson (“The Astronomer Who Met the North Wind”) are excellent companions for the stories of S.L. Huang, Yukimi Ogawa, Michal Wojcik, Octavia Cade, Kate Hall and Catherine Faris King. The future is uncertain most of the times but with these stories and their cover art as reference I am more than willing to follow Book Smugglers Publishing on the avenue they are taking. With the promise of a sequel for S.L. Huang’s “Hunting Monsters” and a trilogy of short stories by Carlie St. George, “The Cinderella Noir”, on the horizon I do keep my fingers crossed for their road to be long and bright.